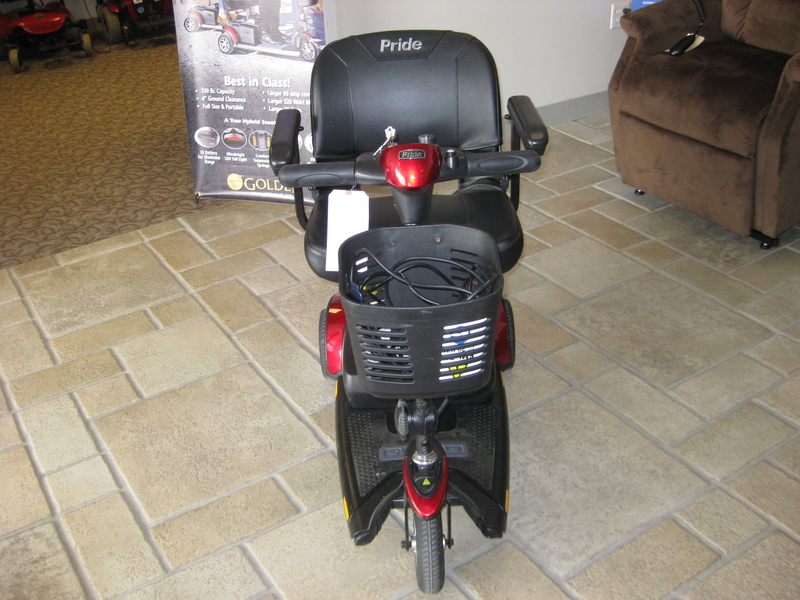 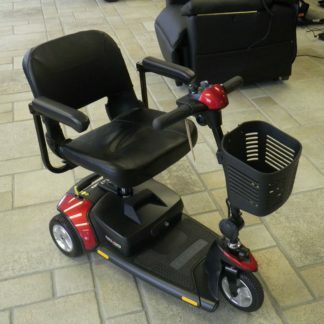 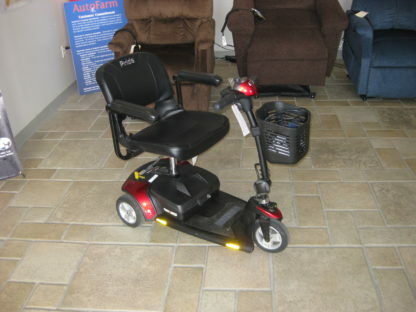 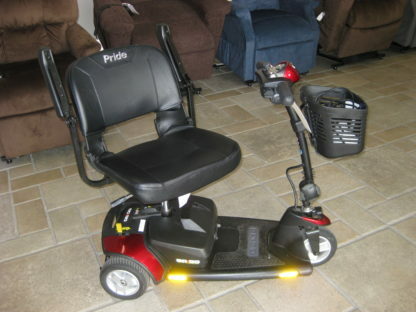 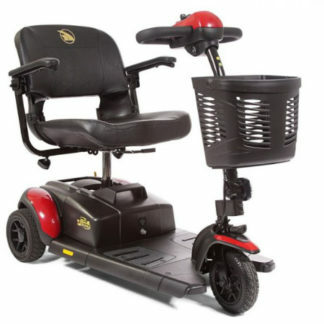 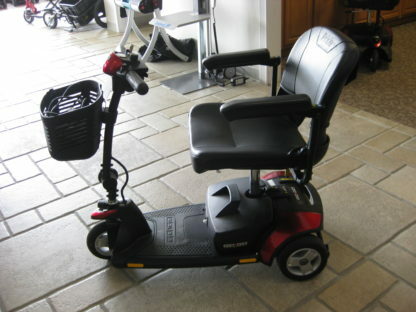 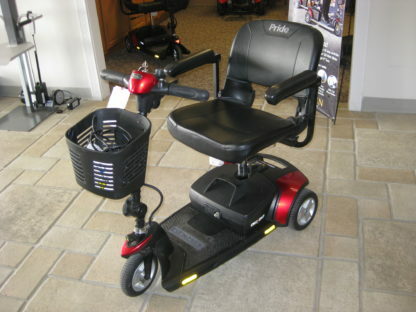 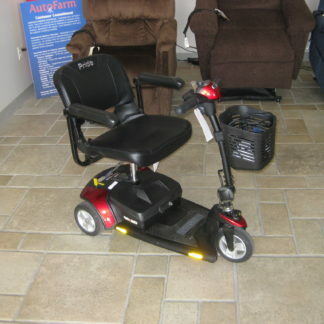 This preowned Pride Go-Go Elite Traveller 3 wheel scooter has a tight turning radius for indoor use primarily, or mostly smooth surfaces. It is very lightweight (heaviest piece is only 29#) and disassembles easily to be transported. 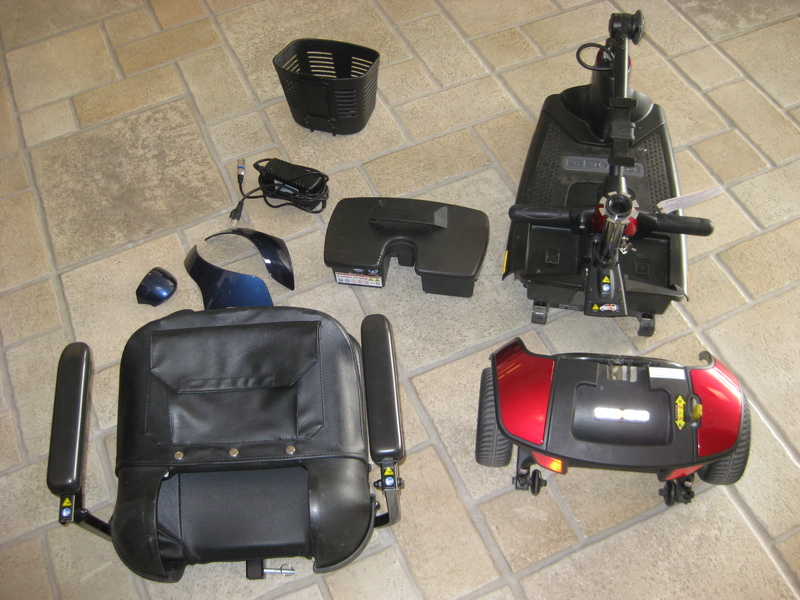 It includes Red & Blue interchangeable shrouds, charger, and owner’s manual. 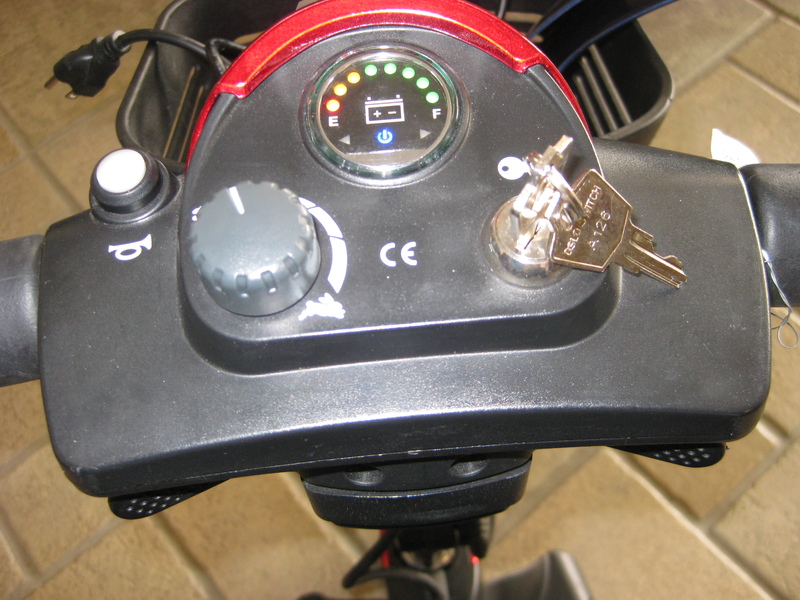 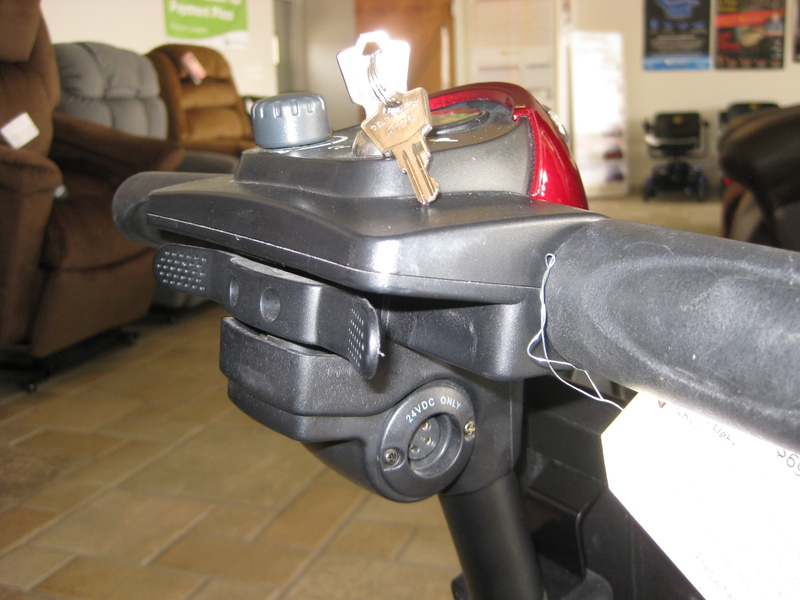 The tiller is angle adjustable with the charging port on the tiller & the battery pack for easy charging. 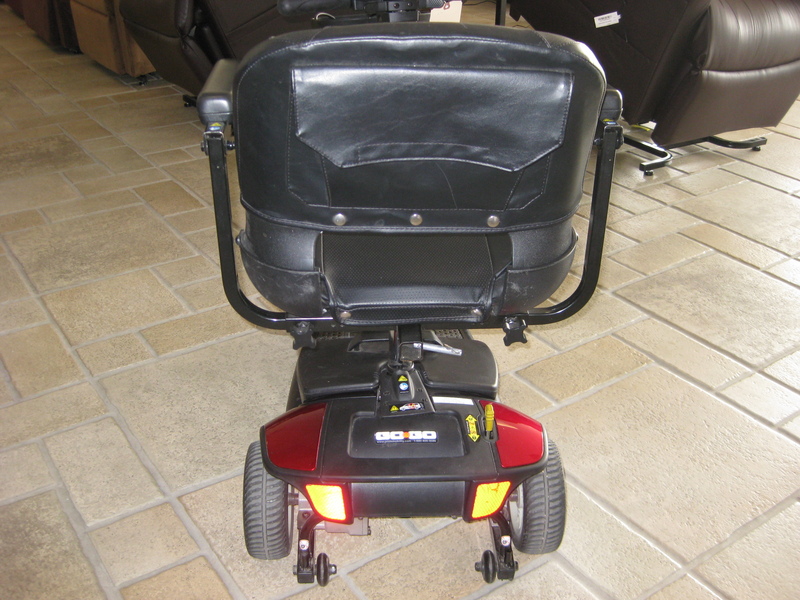 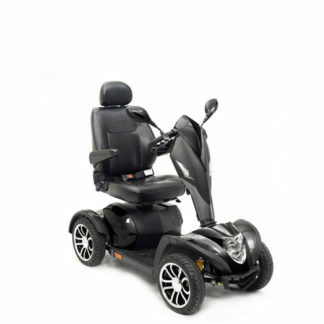 The seat is black vinyl and swivels for easy entry/exit as well as includes width adjustable armrests with storage pocket. 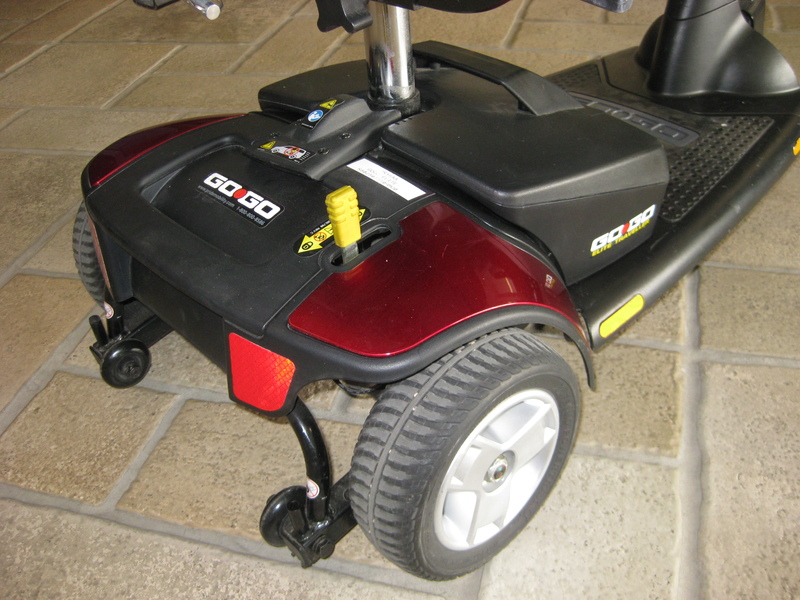 It also has a durable plastic front basket. No remaining warranty since item is preowned.